Bingo, yes, but with an added twist: the wind keeps coming and blowing leaves off your board! Can fill any amount of time. 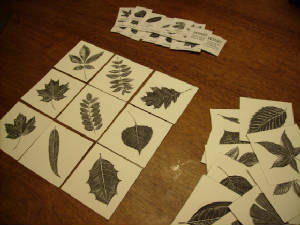 Photocopies of pattern pages, scissors, “tokens” of some kind to put on the squares.